MassChallenge today announced the top 12 finalists out of the 75 startups accelerated this summer in Renens. Ten selected companies are from Switzerland. The high-impact startups will continue to the final round of judging, taking place on October 12th. The 2017 cohort in Switzerland were selected from 450 applications. Selected startups come from 13 countries, with founders from more than 30 nations and work across a range of industries, including high tech, healthcare, clean tech and social impact. 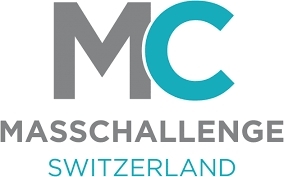 The cash-prize winners of the MassChallenge Switzerland cohort will be announced during the Awards Ceremony on November 16th, as part of the Swiss Innovation Forum in Basel. The 75 startups participated in MassChallenge’s four-month accelerator program where they received mentoring from industry experts, tailored programming, free co-working space, and access to corporate partners. MassChallenge takes no equity from its startups, and through an annual million-franc competition, it gives cash awards to the top startups. Participating startups join MassChallenge’s established international community. Through accelerator programs in Boston, Israel, Mexico, Switzerland, the United Kingdom and Austin, and its Bridge to MassChallenge program, MassChallenge has supported 1,211 alumni from 81 countries. To empower more of the world’s high-impact entrepreneurs, MassChallenge is committed to expanding to 12 locations by 2020. Alogo Analysis SA is a Swiss incorporated company dedicated in analysing equestrian sports and provide innovative statistics. Software driven by machine learning that allows the chemical industry to model chemistry, improve yield and generate new chemical leads. From a single 360° photo to a volumetric VR room-scale interactive movie. We are democratizing virtual and mixed reality content creation. Lymphatica develops a micropump-based medical device for treatment of lymphedema, a chronic, disabling side effect of anti-cancer therapies. Local online groceries delivered the same day. 100% non-industrial, 100% no GMO 100% never frozen food. Precision Vine improves quality and efficiency in the wine industry by using remote sensing services to create valuable information. We measure patient vital signs in a contact-free manner to allow for clinical grade diagnosis of sleep disorders in a home based setting. Data-driven user engagement tools for online shops. Dechets a l'Or uses tech to that brings infrastructure services to African cities. We create cleaner cities with brighter futures. R&D, production and commercialization of novel membranes used in electrolysis for the production of hydrogen, as a new energy carrier.